Rev. 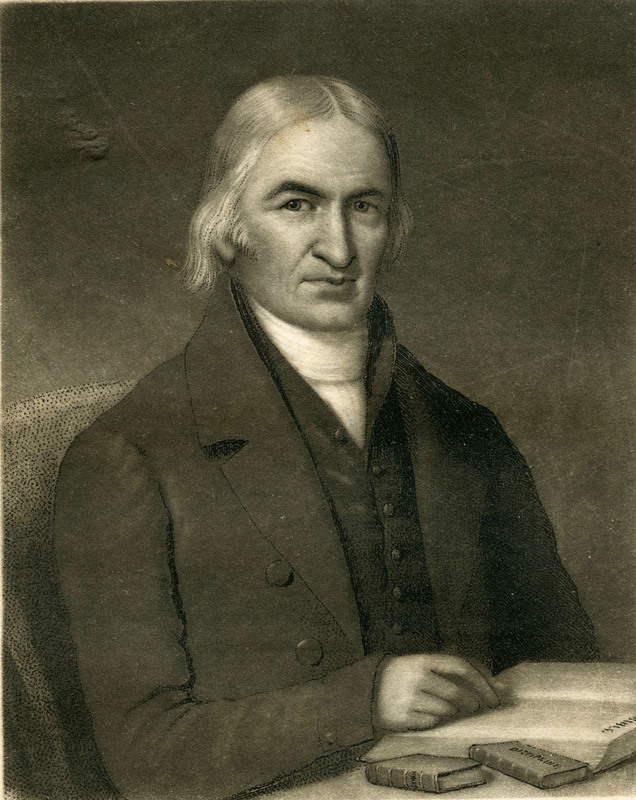 Ebenezer Francis Newell, the church's namesake. In 1736 John and Charles Wesley came to Charleston South Carolina . The state was fertile for "circuit riders" as they carried the message of Jesus from house to house on horse back. Sixty of America's circuit riders' gathered at a historical moment in Baltimore, Maryland. The Methodist Church was organized at this meeting , that began on the 24 th December 1784 and ended the 2nd January 1785. One of the most promising "circuit riders" was Francis Asbury who was ordained as a bishop in this newly found church. He made 31 trips to South Carolina. He recorded in his journal, VOL. I that in February 1785 he visited the Georgetown and surrounding territories, establishing churches in various sections. Among the places he visited was the community of Muddy Creek where Ebenezer Church now stands. The area and church was known as Muddy Creek from The Journal and Letters of Francis Asbury VOL I. The first building to house the church, constructed in 1786, was a one room log structure with side doors, a clay chimney and no windows. Bishop Asbury's route included this area. Before then Asbury met with some of these early congregations in bush arbors with a tree stump for a pulpit. 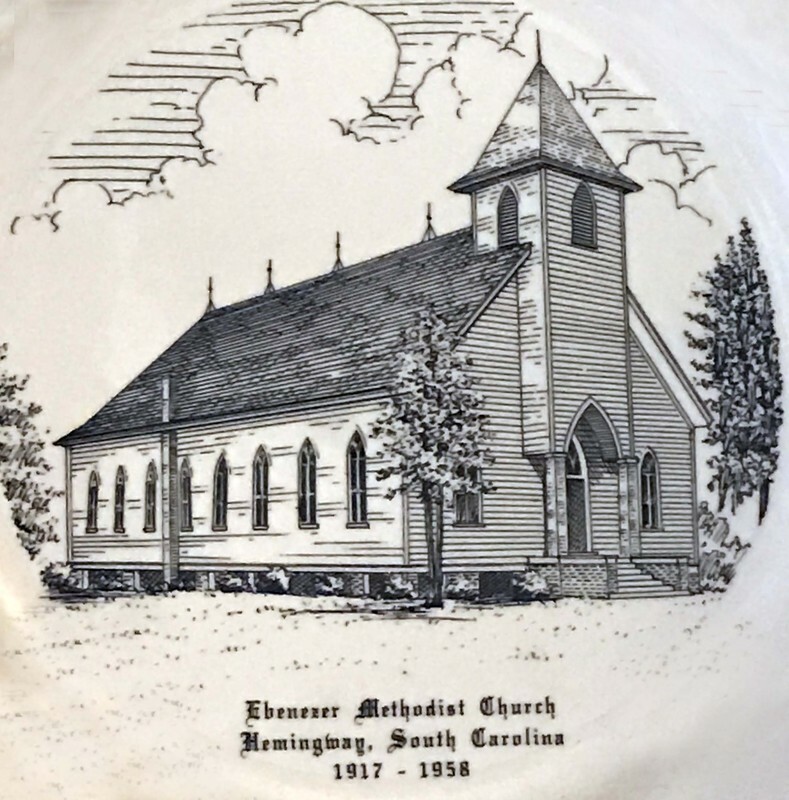 In William Willis Boddie's History of Williamsburg he mentions Ebenezer Methodist Church as the earliest Methodist Church in Williamsburg County. In 1787 the South Carolina conference was organized. Methodist churches grew. It appealed to the frontiersmen even though it required they walk in a straight and narrow way. Methodism became the strongest force in changing the rough frontier life. The Reverend James Jenkins from Brittons Neck was sent to the Pee Dee circuit in 1796. According to records in the Williamsburg County Courthouse there was a meeting house in Muddy Creek in 1808, probate records of Timothy Britton. Samuel Haselden's will of 1822 mentions his heirs in bequests of land "except two acres freely given to the Methodist church where it now stands at Muddy and shall be here after known as Ebenezer." In 1829 June 5 an entry in Bartell's Journal states that he went to Sunday school at Muddy Creek.